Three tubes located just below the tread allow fine adjustments in the pressure along the inner and outer shoulders and the center of the tire. An internal pump transfers air between the main chamber and the three tubes to vary the tire’s contact patch on the fly. The eco/safety position uses maximum pressure in all three tubes for reduced rolling resistance. Setting the center tube to a higher pressure than the shoulders resists hydroplaning in wet conditions. The sporty mode increases the size of the contact patch by reducing the pressure of the inboard tube. 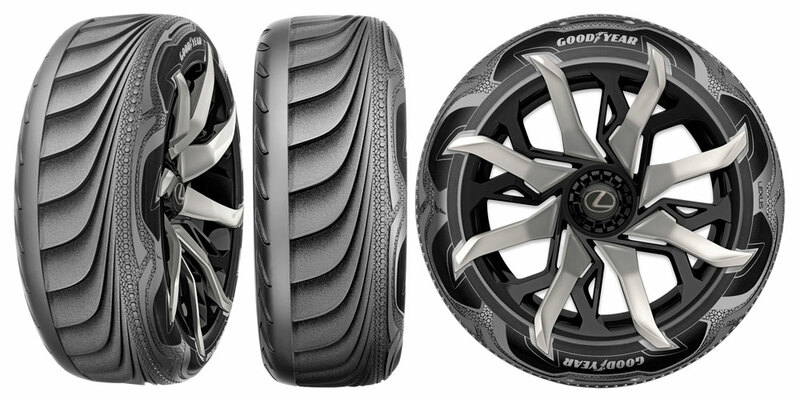 An interesting concept, for sure, but Goodyear stresses that the Triple Tube tire is still in development and not close to production. Hamed Al Sayes: WOOW!! NOW I see why its wild and beautiful Unlike BMWs or Mercedes!! WILD just for LOOK!